Meet our Summer Theatre staff! Kelly began her love of performing arts as a young child when she played Rebecca in a local production of “Our Town”. She then went on to receive a BFA in directing from Salem State College and The University of West London. After graduation, Kelly moved to New York and took a job at the critically acclaimed Vineyard Theatre. There she learned the ins and outs of a professional theatre while working alongside master actors and directors. During this time, Kelly was selected to take part in the "Up and Coming Women Directors" program at The Looking Glass Theatre. She worked with NY based playwrights developing new works for the stage that had strong female characters and storylines. She also co-ran their Directing and Playwriting Forum, a highly successful launching pad for artists developing new plays. 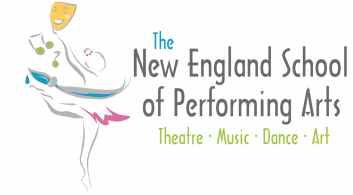 Locally, Kelly has worked at The North Shore Music Theatre, The Stoneham Theatre, the Concord Youth Theatre, and the Andover School of Montessori. She founded The Fairy Tale Players; a non-profit organization dedicated to creating educational theatre for young audiences. For the last five years she has served as the Education Director at Creative Arts where she directed over thirty children’s productions and was featured twice in Boston Parent’s “Best of the Best” issue for her theatre classes. Outside of the arts, Kelly devotes her time to her online support group Heart Matters, which serves to support families with children born with Congenital Heart Defects. Kelly has also spent many years as a Wish Granter for the Make-A-Wish Foundation, an organization that is near and dear to her heart. Andrea received her Masters of Music in Opera Performance from Boston Conservatory of Music and a BA from the State University of New York at Binghamton. She has performed for over 30 years throughout the East Coast, US and Europe. Andrea continues to perform, which includes her great passion for 'crossover improvisation'. Andrea specializes in teaching youngsters, teens and adult students at all vocal levels and performing experiences. She has taught for over 25 years in the Boston area and New York, including her tenure at Creative Arts since 2000. Andrea is the Founder, Co-Director, and Performance Artist with Improvelocity (visit: www.improvelocity.com) and has studied with Robert Honeysucker and Elizabeth Vrenios. Meet the latest addition to our Summer Theatre Staff! Ms. Nedret Andre will be serving as the Art Director for our production of "The Lion King". Nedret holds a BFA from MA College of Art, and a MFA from Maine College of Art. Her latest exhibition Something in the Water is being shown at the Enzo Gallery in Brockton, MA. Previously her work has been shown at Artlery in Boston, MA, Stetson Gallery in Marblehead, MA, and Christopher's in Cambridge, MA. Her teaching credits include the Wentworth Institute of Technology, Newbury College, Salem State College and Monserrat College of Art. You can read more about Nedret's credentials and see examples of her work at www.nedretandre.com. Our program is designed for theatre-loving kids to develop their confidence, performance skills, and to help them discover their own artistic voice. We are passionate about developing creativity, while perusing a love for the arts, and striving for excellence in our craft. Under the guidance of Theatre Professionals, your child will learn advanced acting techniques, improve their vocal range and ability, create original choreography, design sets and create costumes. This is a true hands-on experience from beginning to end. When you child leaves our two-week production they will take with them a new found belief in their abilities, along with great memories and lasting friendships. Our program offers and all-encompassing look at what goes into creating a musical theatre production in a safe and nurturing atmosphere. We strictly limit the number of attendees so that we can offer your child one-on- one personal attention and guidance. Our two-week program ends with a fully staged performance open to the general public.